On 6th February 1952 His Majesty King George VI died peacefully in his sleep at Sandringham House. 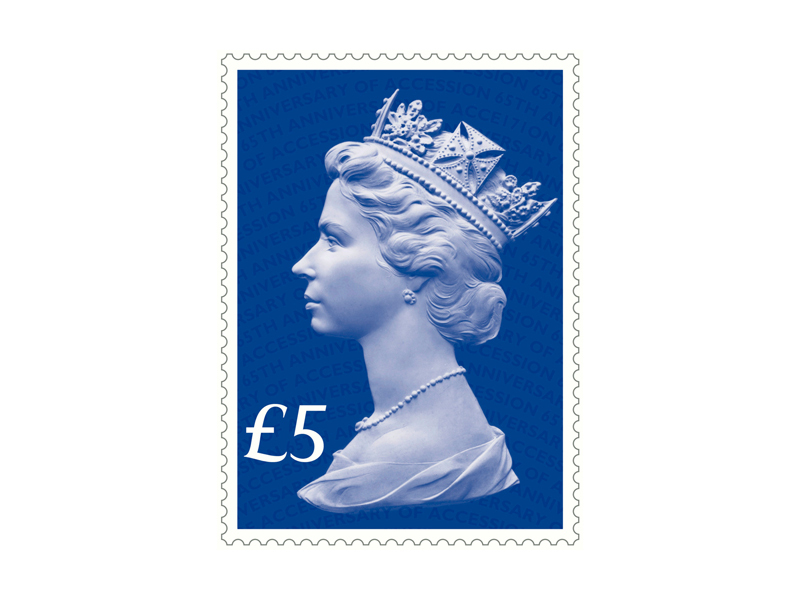 His eldest daughter Princess Elizabeth, who was in Kenya at the time, was proclaimed Queen at the age of 25. 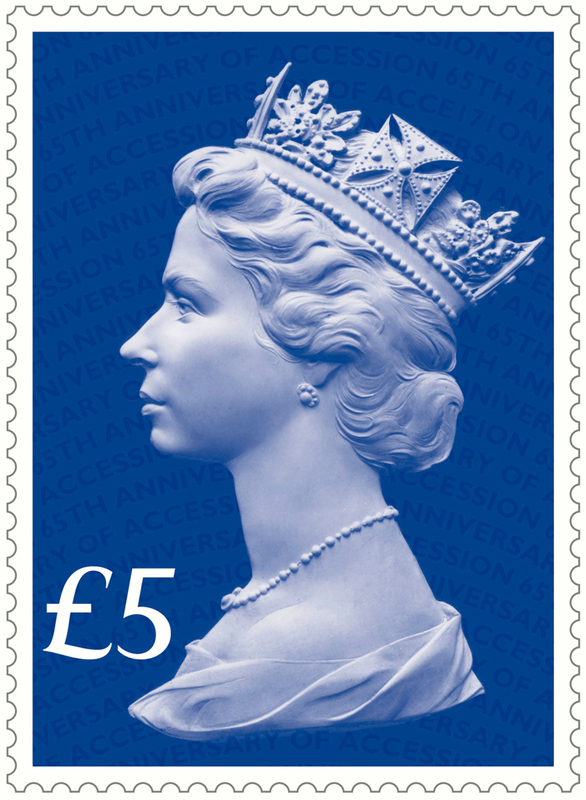 The new Sapphire Blue £5 High Value Definitive, with an iridescent overprint featuring the legend 65th Anniversary of Accession was issued to commemorate this event.